Von ShefStand Mixer gifted for the purpose of a review. When it comes to baking with children, there are two types of parents. Those who love it, and the rest of us. The problem is, it takes so long. They want to crack the eggs, so you spend 10 minutes picking eggshell out of a jug of gloop. They want to stir the mixture, so that’s 2 hours of your life you’ll never get back. Then of course, they want to lick the spoon. So another hour is lost to showering dough mix out of their hair and sponging it off the walls. Unfortunately for me, Libby has suddenly developed a real passion for cooking. Thanks Masterchef. So, when VonShef asked if I’d like to review their stand mixer, it seemed like an ideal solution. 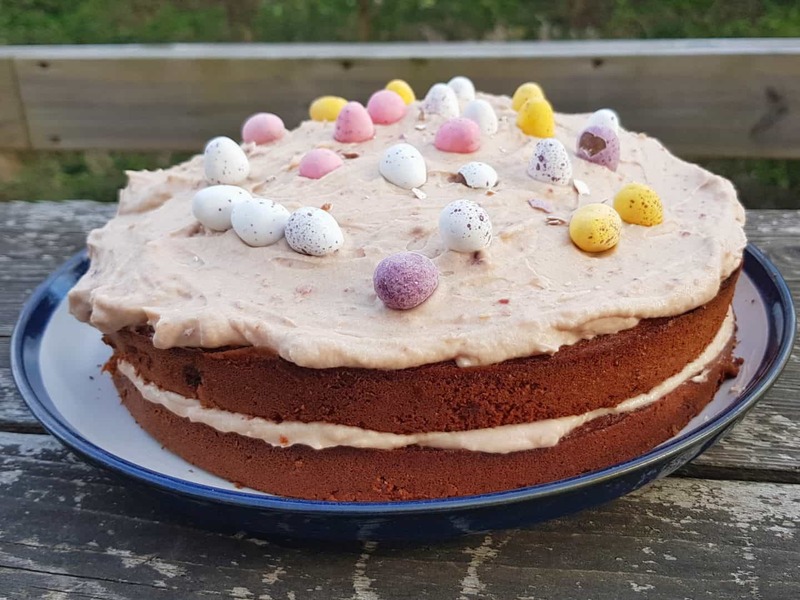 We baked an Easter cake to put the VonShef stand mixer through its paces. I thought a Black Forest Gateau would be a nice recipe to adapt for Easter. We kept the chocolate and cherry flavour, but used little Easter eggs to decorate it instead of cherries. To stick with the Black Forest Gateau theme, our cherries went into the cake and the icing. This actually made for a really moist and tasty cake, which came as a bit of a shock to us all. Once the oven was on, the first step in our recipe was to cream together butter and sugar. I always dread this when we’re making a sponge because the children manage about thirty seconds of creaming between them and get tired. This leaves me doing it by hand for a considerable amount of time, resulting in an achy wrist for the next week. This time though, it was an immediate triumph for the VonShef stand mixer. Libby weighed out the sugar and butter and chucked them into the mixing bowl. I put it onto the stand for her, locked it into place and put the balloon whisk attachment on. 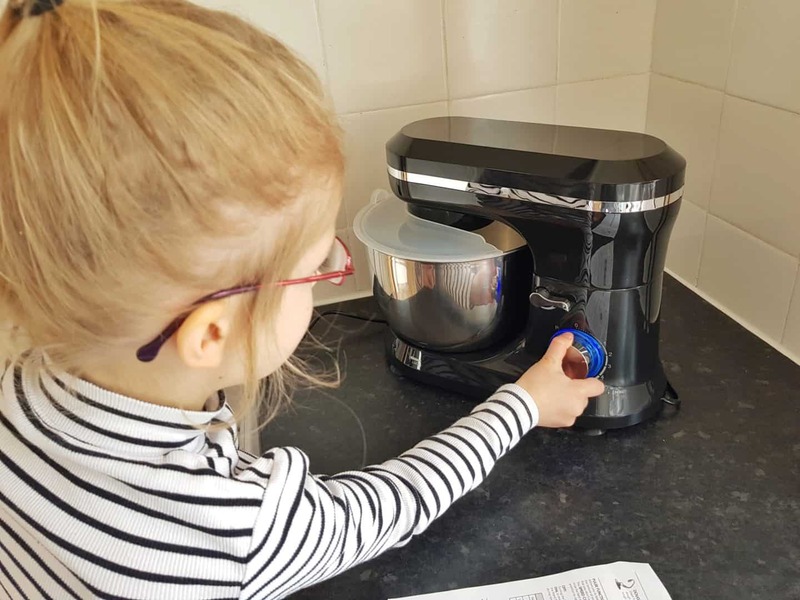 She was then able to put the cover on and follow the simple instructions on the mixer’s manual to find the right setting and turn it on. The next step in our recipe was to mix cacao powder with some warm water and make a chocolatey paste. I had poured the water, but Libby did the rest herself. She then poured the paste into the mixing bowl with the creamed butter and sugar. Next, she cracked two eggs into a jug and beat them with a fork. The eggs then went into the mixing bowl as well, and I swapped the whisk for the beater. Libby whizzed these up on a low setting and stopped the mixer to pour in some milk and a couple of tins of cherries with the syrup drained off them. 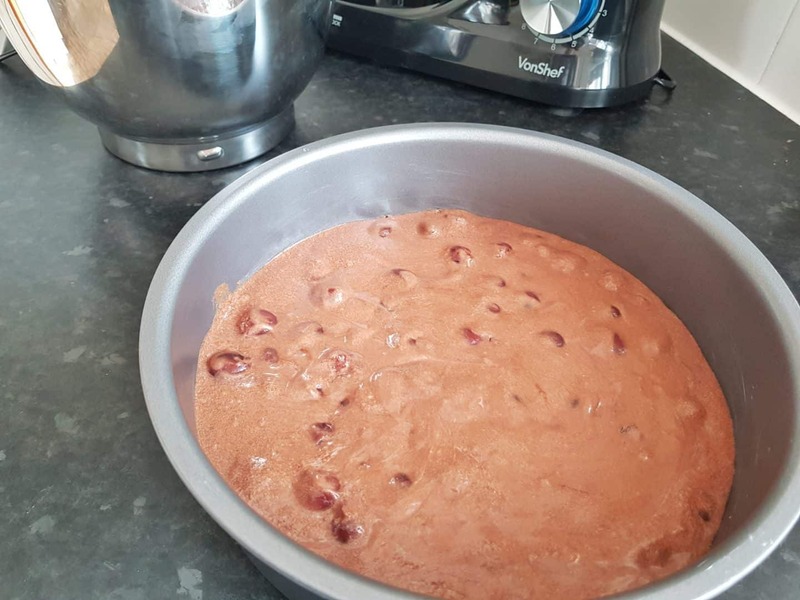 With the milk and cherries in, Libby turned the VonShef stand mixer back onto a low setting for 30 seconds to finish mixing the dough together. Then, it was time to pour the mixture into the baking tins. I removed the mixing bowl from the stand and Libby poured it straight in. I helped a little with this when the bowl got a bit heavy. Under close supervision, Libby managed to put the cake into the oven. For the icing, we used a blender to whizz up a pot of glacé cherries with some whipping cream. Then, we poured this, along with the rest of the pot of cream and some caster sugar, into the mixing bowl of the VonShef Stand mixer and I put the balloon whisk back on. Libby whizzed this up to a nice, firm consistency to ice the cake with. When the cake was out of the oven and cooled down, she spread half of the icing onto one cake and sandwiched the other one on top. The remainder of the icing went onto the top cake. The girls decorated it with mini Easter eggs. Much as I’d love to tell you that my recipe was worth sharing, it wasn’t really. We had a bit of a disaster with some cake tins with detachable bases. The cake mixture leaked merrily out all over my oven, resulting in rather flat cakes. Mercifully, they still tasted pretty amazing. If you’re looking for an easy Easter recipe to follow with children, you could try my healthier Easter nests. If you’re looking for a Black Forest Gateau recipe, my go-to recipe website is usually BBC Food. Their Black Forest Gateau recipe is here. 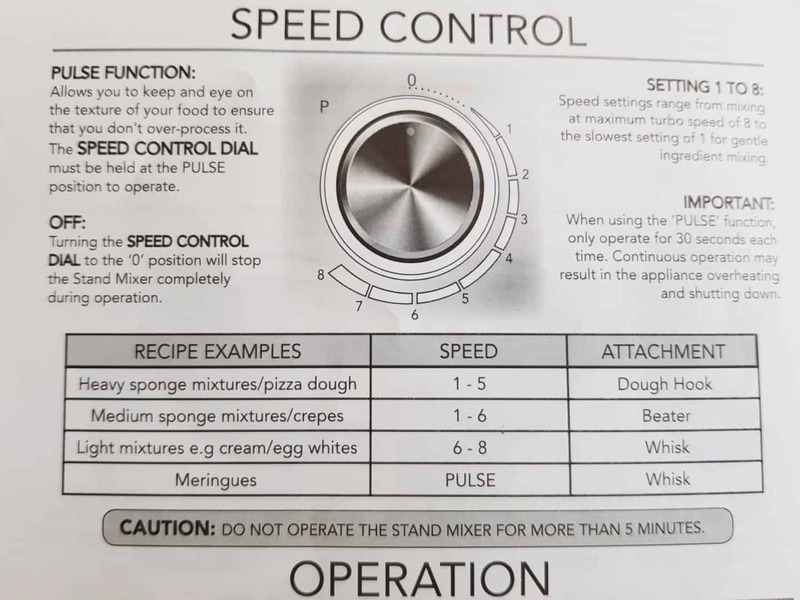 Did the VonShef stand mixer make baking with children more bearable? I know this is the eternal question. 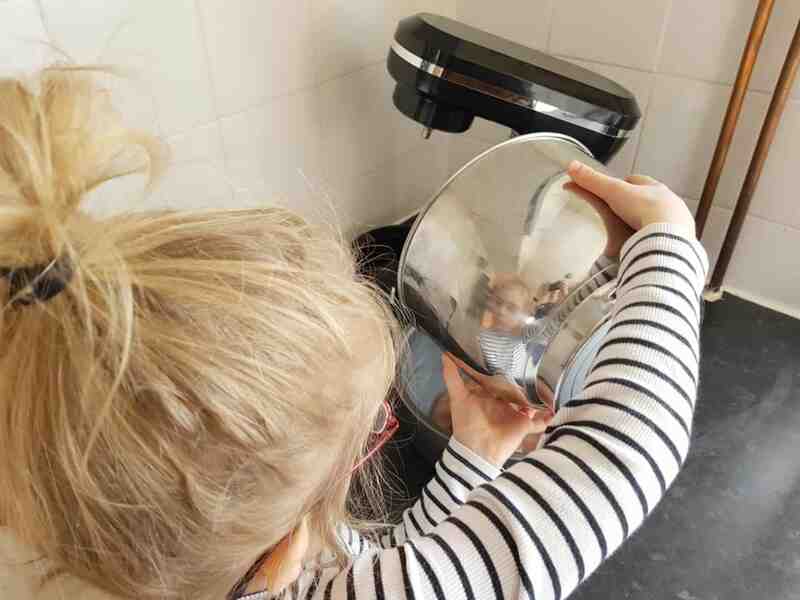 Is baking with children any less hideous with a VonShef stand mixer? Well actually, it is. Libby was able to be a lot more independent and the whole process was much quicker and easier. With less hanging around waiting for me to mix the dough, she didn’t lose concentration or get bored. If we continue to practice and she gets used to following a recipe, I don’t think it will be too long before I can set her off baking and leave her to it. That’s the ultimate aim for me, and it has definitely become achievable a lot sooner thanks to the VonShef stand mixer. The VonShef stand mixer is available in black, red or off-white. It is a relatively quiet 1000 watt mixer with eight speed settings and a pulse option. 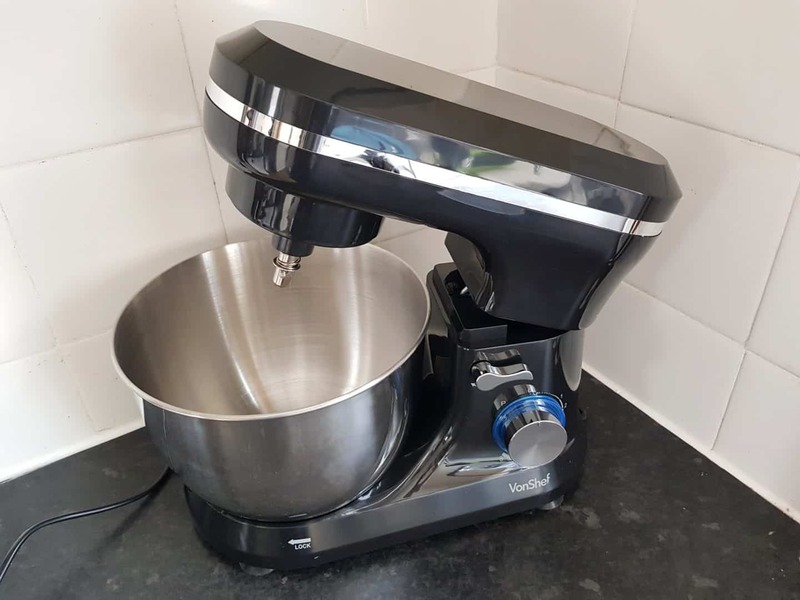 Its stainless steel bowl holds up to 4.5 litres and it comes with stainless steel attachments consisting of a dough hook, beater and balloon whisk. The bowl locks easily into position and suction cups on the underside of the mixer keep it in place on the work surface. A tilting head makes it easier to check on the progress of your mixture and a splash guard prevents mess. The stainless steel mixing bowl and accessories are all dishwasher safe. For more information on the product, head to the VonShef website. Oh it’s fab, having the mixer really is a game changer in terms of how easy it is to bake with the kids.